Installing cost effective visual and audio deterrents at different points in your home can reduce the chance of burglaries and help you act in the event something does happen. 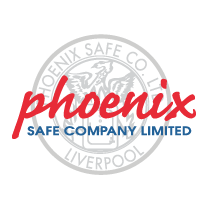 Home security has become a very competitive market over the last few years, with companies popping up all over the place fighting for the chance to help you protect your property. 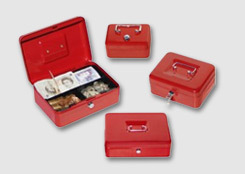 The great thing about all this competition is that it means these products are being priced more competitively, making it easier and cheaper for you to protect your home. So even if you can’t afford an expensive security system, with a few gadgets you can be running your own little security set up in no time! CCTV cameras have been a vital tool for business premises and and affluent homes for a long time, but with the increase in companies getting involved in home security and the cost to entry being lowered, it’s become more affordable and easier than ever to install a camera system in your home. 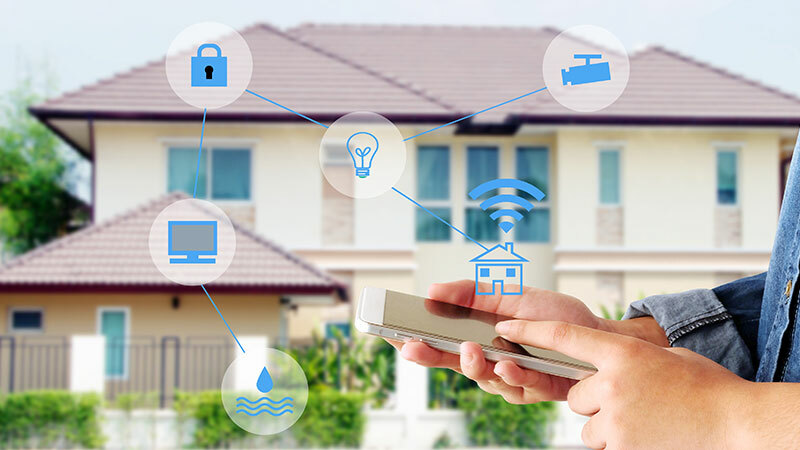 Most new smart camera systems have useful features such as recording, motion detection and alerts, and some even have an IR sensor so that the camera can see in the dark! All of this can usually be accessed from a smartphone app, so you can view your home from anywhere. They’re also very easy to install with minimal tools required, simple instructions and no complicated software. 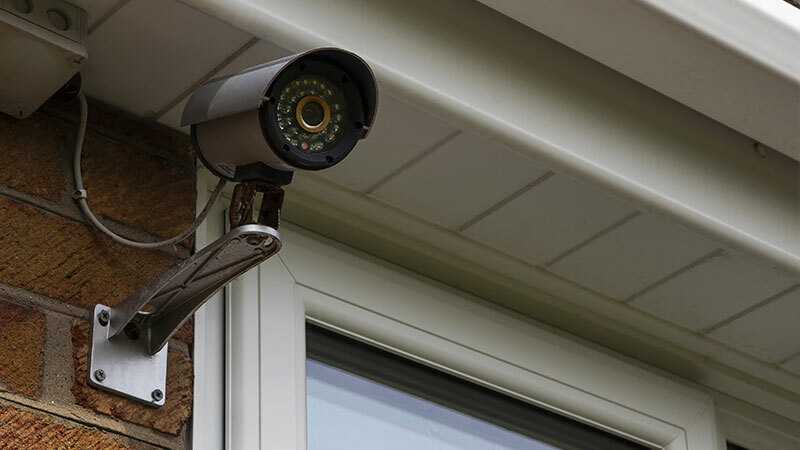 The visual of having a camera installed is a great deterrent, but if that doesn’t work alone at least you can be rest assured knowing if somebody does enter your property you’ll be immediately alerted to their presence, and it’ll all be caught on camera. Indoor cameras haven’t been very common in households until now, mainly due to the fact that camera systems have previously been an expensive proposition and had a technical installation process, and if people wanted to install a costly camera system – it would usually be outside! It’s much simpler and cheaper these days to have your own indoor camera, and they’re usually incredibly simple to set up, and some don’t even require any tools. Indoor Cameras are suitable for shared spaces, pointing at entry points to the home, and are particularly ideal for people who live in apartments or any kind of shared accommodation where you probably shouldn’t be drilling your own CCTV onto the wall outside. Once you have an indoor camera installed, you can usually monitor it from anywhere using the included smartphone app, and benefit from notifications whenever a presence is detected. Indoor cams have a few other benefits, including using it for things like making sure your children got home from school, or checking on your throughout the day! Another recent development of indoor cameras is to incorporate a speaker and microphone – so not only can you see your burglar, you can speak to them too with an intercom style system on the included smartphone app. Here’s an example from Nest of somebody with an indoor cam using the included microphone to successfully scare their burglars away! Previously you would have to call the police and hope they arrived on time to thwart the burglars attempt, but using your indoor cams microphone to alert them of your presence could be a lot faster and more effective solution of getting rid of them before the police even arrive, also reducing the amount of possessions they could potentially get away with before they leave. You can use handy automatic lighting both indoors and outdoors to guide you in the dark, but also to illuminate potential thieves. Having flood lights installed outside your home is a cost effective measure that can be a startling deterrent for thieves. Equipped with automatic sensors that trigger the light every time a person is present – it’s the implication that someone or something is aware of their presence that may make them think twice. 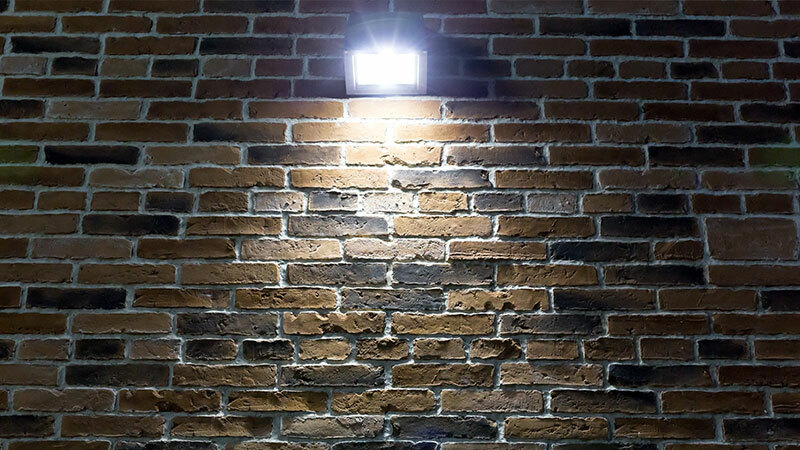 Outdoor lighting can also assist you at night, helping you get a better look at any intruders on your CCTV, if you have any cameras installed outside. Whilst you may need to install some additional hardware outdoors, fortunately you don’t have to add additional lighting indoors, you can use the bulb holders you already have! Smart bulbs equipped with a smart hub are becoming very common in the modern household, and they allow you to control your lights from anywhere in the world. This can include turning them on and off, changing the brightness, colours or setting a schedule. You can even use apps such as Workflow, so that when your indoor cameras detect motion at night it will automatically turn the lights on. This can be valuable for startling a potential thief, and if that doesn’t do it – the sound of your voice from your indoor camera will. Lights flashing on and off, voices coming from the walls, it’d all feel a bit like something from Stranger Things and would probably have even the most confident burglar running for the hills! The simple doorbell has seen massive evolution over the last few years. With companies like Ring and Nest producing smart doorbells equipped with cameras, microphones and motion sensors, you can instantly be alerted to someone’s presence on your phone. The great part is they don’t even have to ring the doorbell. If the camera senses a presence it will alert you that someone is there and provide a live video feed, making it harder for thieves to sneak up on your home! Another fantastic feature that comes with many smart doorbells is a microphone and speaker, so that you can communicate with the person no matter where you are in the world. If someone rings your doorbell you can communicate with them and let them know if you’re not home, or if you’re in the back garden for example, you can let them know to walk around the house without having to go and open the door for them. Using these features, if you are alerted to suspicious behaviour, you can startle thieves by making them aware that you’re onto them and about to call the police – which is a fantastic deterrent that would hopefully be enough to make a burglar abandon a robbery attempt. 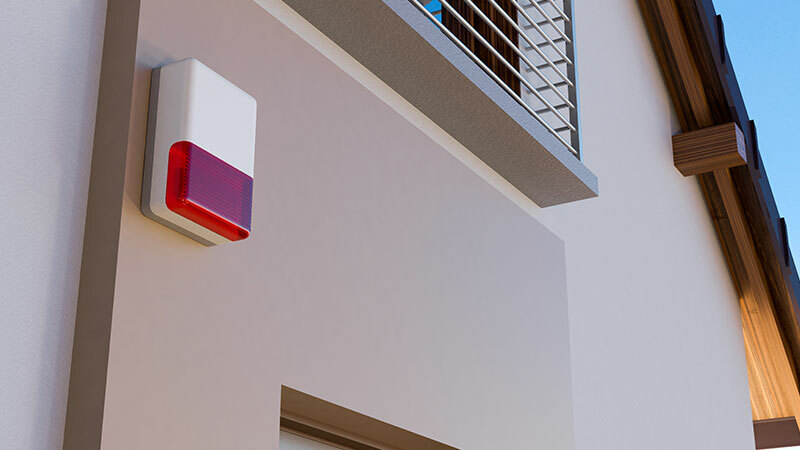 Having a visible alarm box installed on the side of your home is a handy deterrent for thieves. 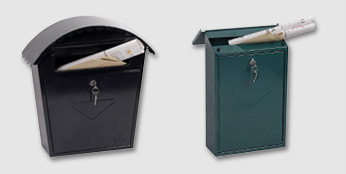 The box should be in good physical condition, or the burglar may take the chance that it’s old or no longer functioning. It also helps to have a box that periodically flashes to let thieves know that it’s definitely active and they should steer clear! 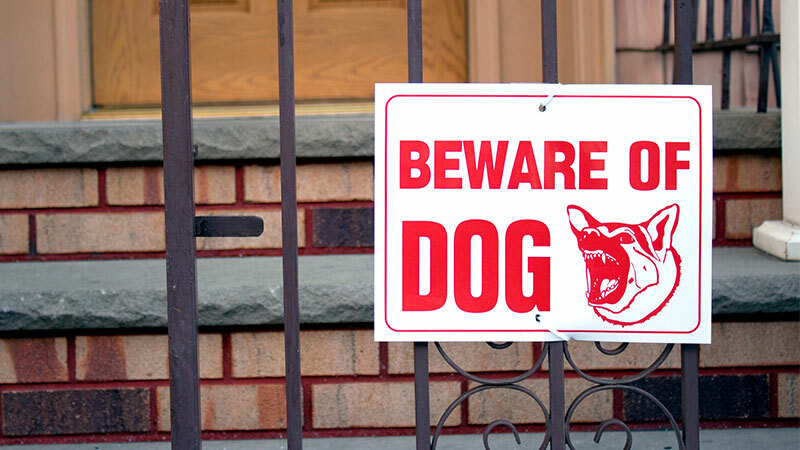 Over the years humorous dog warnings have become a bit of a novelty amongst pet owners, but having a proper warning sticker in your window or on the wall outside your property lets potential thieves know you have a pet in the house. It’s easy to assume that burglars may be scared of big breeds of dog defending their territory, but don’t underestimate the smaller breeds! What they lack in strength they usually make up for in sound. A dog behaving unusually can be enough to alert the neighbours of a thieves presence, and that could make them reconsider targeting your property. If somebody forgets to lock your door one night, or a thief discretely and quietly manages to compromise your door, that feeling of success would quickly be diminished if you have a door chime installed. You know the kind, when you walk into the corner shop and hear that buzzing sound as you open the door. Not all door chimes are quite so obnoxious, and you should be able to pick some up relatively cheaply. One for the front and back door is best! If you are home and they break in, you’d be alerted by the chime, and if you’re not home there’s potential they could be startled by the sound and potentially abandon their robbery attempt. Having a gravel path leading up to your home is a fantastic deterrent for thieves. If you or your neighbours are home, the inevitable loud crunching of the gravel under their feet will alert you (and everyone else within a 100 mile radius) of their presence. A simple yet effective deterrent. If you’re considering purchasing a safe for your valuables, our Titan Fire and Security range with Fingerprint Locks include an alarm that triggers when the wrong code is entered multiple times. 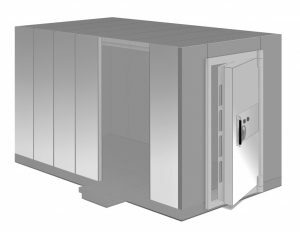 Besides the fingerprint lock, Titan safes also have plenty of additional features to keep your contents secure, including fire and drop protection, and an insurance rating of up to £2,000 in cash or £20,000 in valuables. 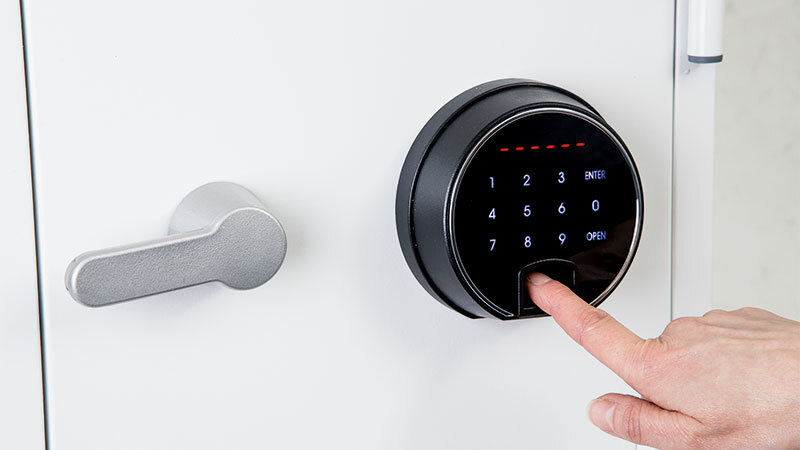 In the event that a thief try to access your safe – entering the code incorrectly and setting off the alarm could alert you or your neighbours of their presence, or even better startle them away from their burglarly attempt. This blog is part of our National Home Security Month series. Every week in October we’ll be posting useful content to help keep your home safe! In week 4 we’re focusing on the future and how smart technology can make your life easier and your home more secure! Follow us on Facebook or Twitter to keep updated with the rest of our posts related National Home Security Month.